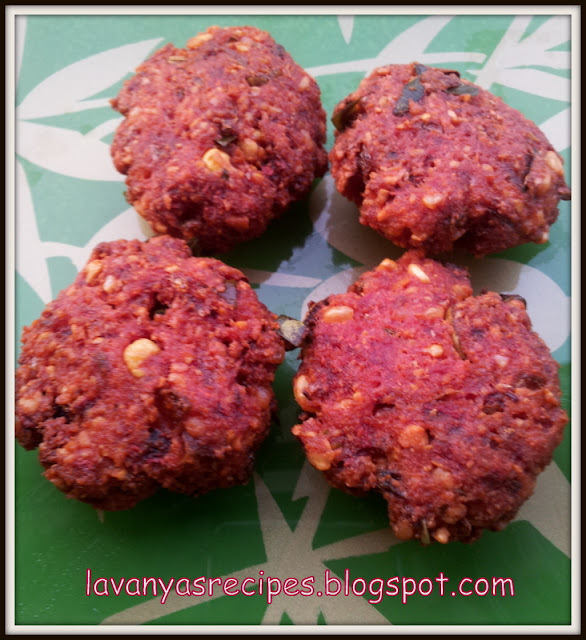 Beetroot Parupu Vada is a healthy and nutritious vada because of the addition of beetroot and three varieties of dals (Toor dal, Channa dal and Urad dal). Beetroot is a great vegetable for boosting stamina and contains Vitamin A, Vitamin B6 and Vitamin C and Folic Acid. It reduces blood pressure, osteoporosis and lowers cholesterol. 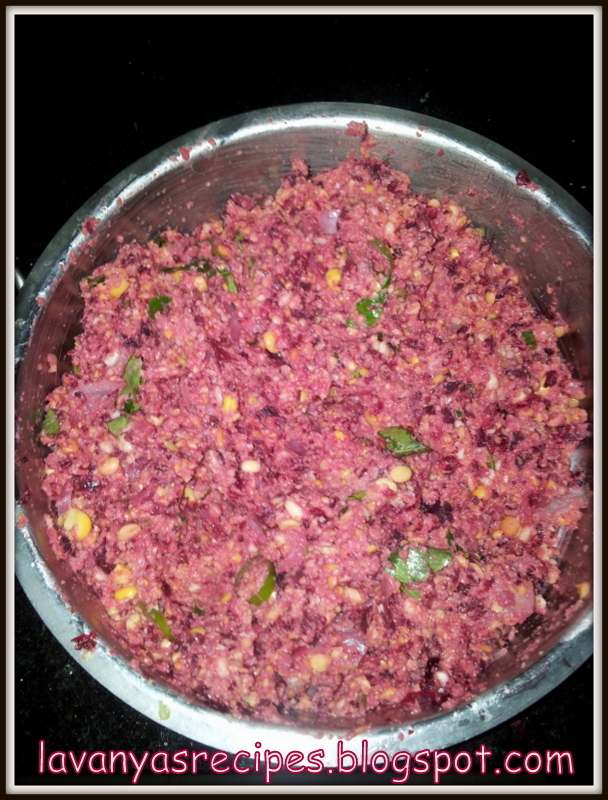 So instead of trying the regular curries/stir fry with beetroot, I tried this crispy vada. 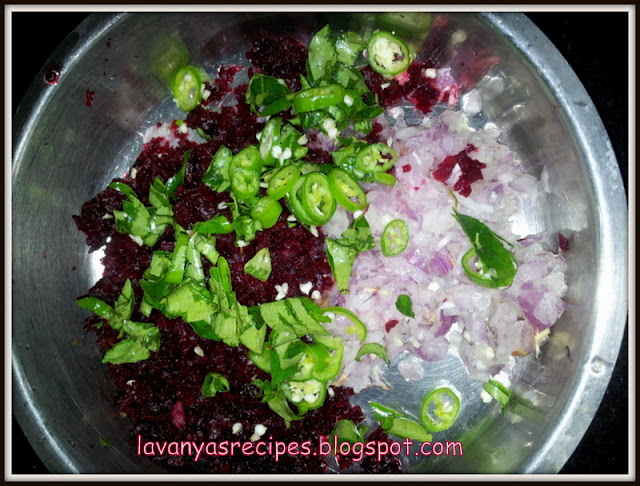 This is also a protein rich snack because of the addition of dals. Soak toor dal, channa dal and urad dal for 2 hours. Wash and drain the water completely. 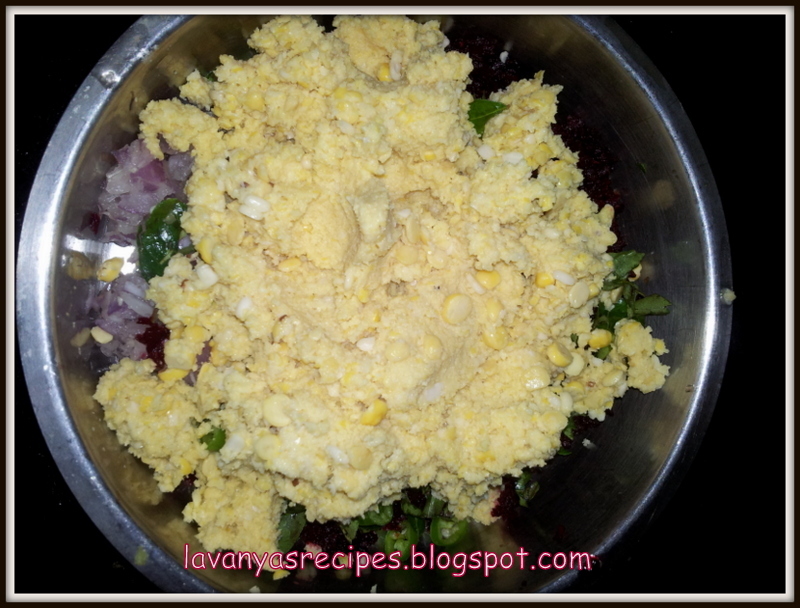 Grind them coarsely without adding water. Take a bowl and add the chopped onions. Add the chopped or grated beetroot. 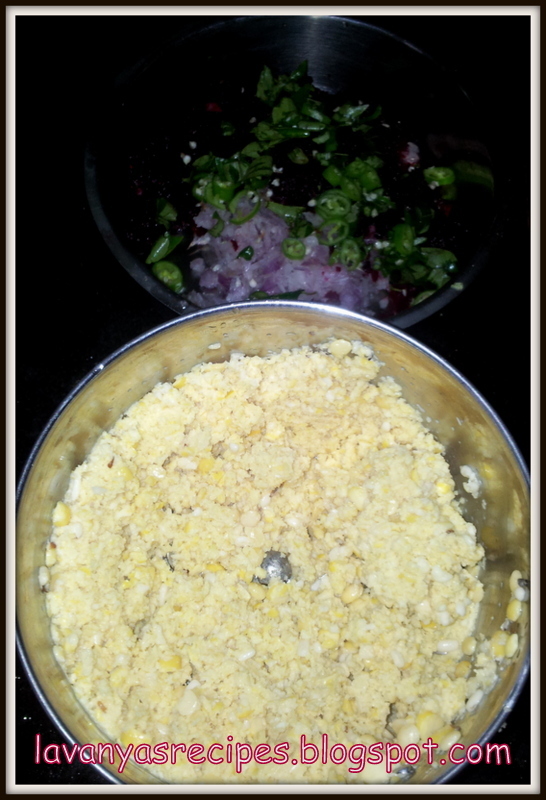 Now add the chopped chillies and curry leaves. Add the coarsely ground dal followed by salt and saunf, mix well. Meanwhile, heat oil in a kadai for frying. 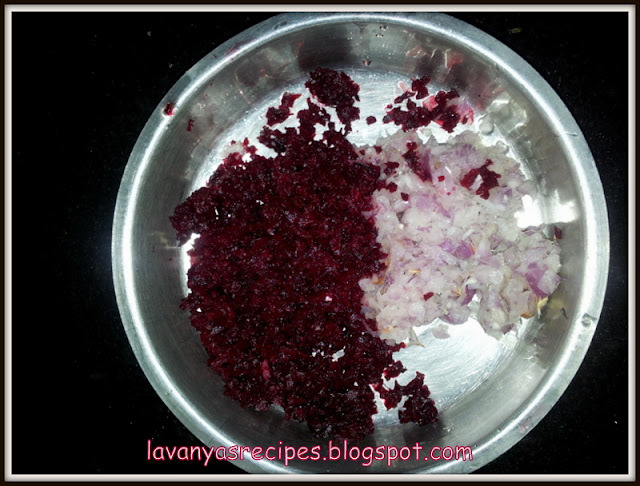 Take the dal-beetroot mixture, shape them into a small ball, gently press them and make round shaped vada. Slowly drop them in a hot oil and fry them in a medium flame. Remove and drain the excess oil using kitchen towel. Serve hot. 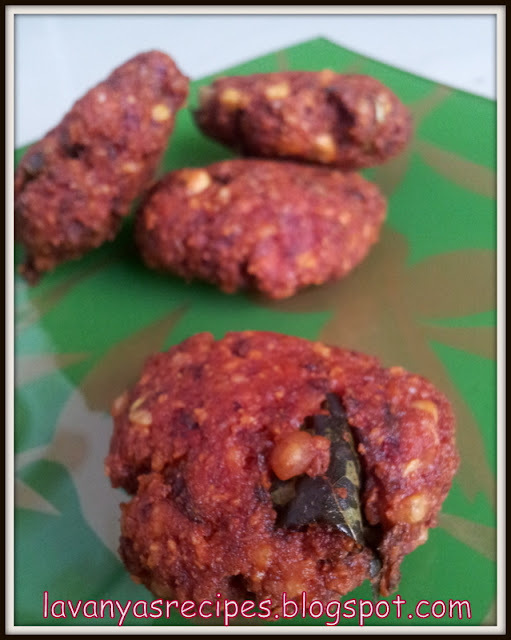 Serve the beetroot parupu vada with hot tea or coffee. the color is so nice plus this is the first time i ma seeing a red vada..wow!